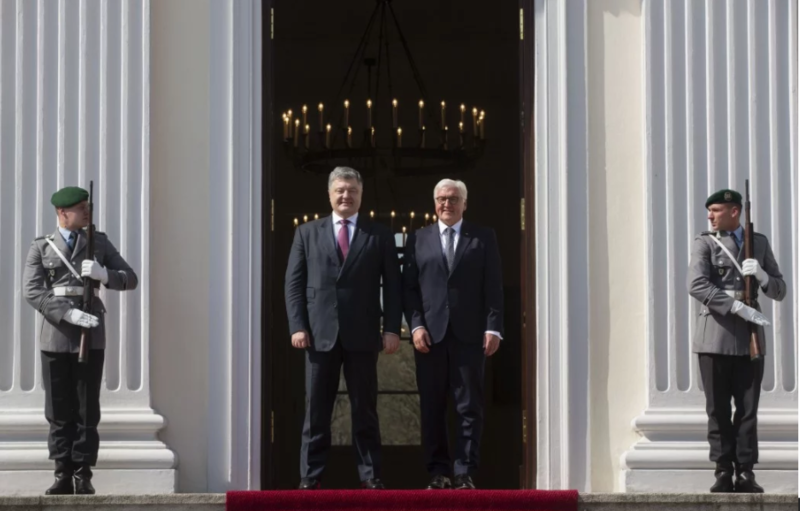 Ukraine’s President Petro Poroshenko and Frank-Walter Steinmeier, the President of Germany, discussed the peacekeeping mission in Donbas at the meeting in Berlin, as the press-office of Ukraine’s President reported. “The leaders have discussed the development of the situation in Donbas. They expressed disquietude due to the provocations of Russian militants. Ukraine’s President believes, that the deployment of a full UN peacekeeping mission on the occupied territory of Donbas will facilitate the stabilization in the region and provide an effective shift from constant Russian provocations to the peaceful settlement order,” the message says. At the meeting, they have also discussed a need to preserve and to intensify, if necessary, the anti-Kremlin sanctions. Earlier, Poroshenko stated about the progress concerning the introduction of the peacekeeping mission in Donbas in the interview for Handelsblatt, a German newspaper. As we reported earlier, Poroshenko in his speech at the Munich Security Conference stated that Russia had a chance to show its readiness to the compromise and agree to the peacekeepers on the entire territory of the occupied Donbas. Earlier, Kurt Volker, the U.S. Ambassador to NATO, said that Russia’s draft resolution, which provides bringing the peacekeepers to Donbas only along the confrontation line is unacceptable for the USA and the UN, as it will not ensure security, but only exacerbate the conflict. Earlier, Poland, Germany, Sweden, Portugal, Turkey and Finland stated that they were ready to bring the peacekeepers to Donbas.